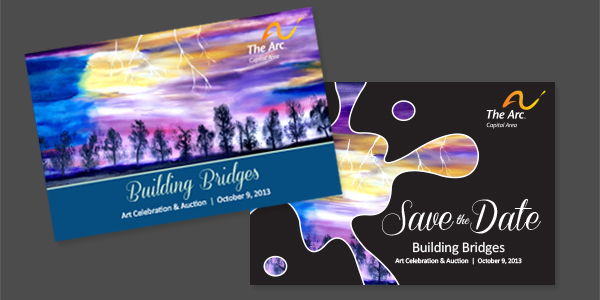 The Building Bridges Art Celebration and Auction is next week! 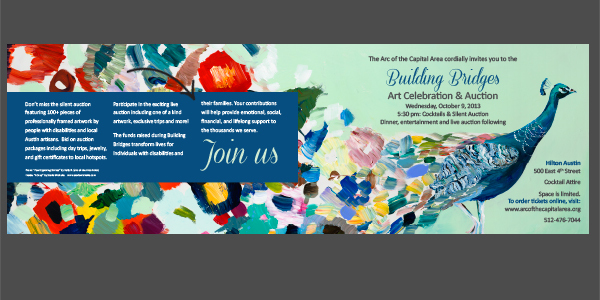 This truly unique event features silent and live auctions with work from professional artists as well as the clients enrolled in the amazing Arc of the Arts program. 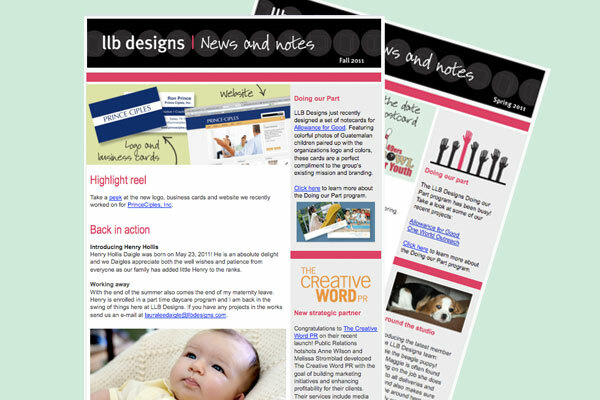 The save the date, invitation and program were designed by LLB Designs through the Doing our Part Program. The save the date and the front of the invitation feature the piece “Four Lightning Strikes” by Arc of the Arts Artist Kelly R. The inside of the invitation features “A Step” by Austin artist Starla Michelle. Both pieces will be auctioned off at the event on October 10. For more information on these programs or to attend the event visit The Arc of the Capital Area here.